Ever wonder what it would be like if your facial hair stopped growing or maybe just slowed down a bit so those tough shaves were a part of the past? I had not thought about either of the two but now with Bluebeard’s Revenge shaving cream it could become reality for many of you “real men” out there! Isn’t it cool that products like “shaving cream” are developing and specializing to niche clientele? I received a can of Bluebeard’s Revenge and I must say it is the most awesome packaging I’ve ever seen for shaving cream. I mean we are talking a skull and cross bones here my friends. When applying the shaving cream I noticed a subtle soapy smell that made me feel like I was cleaning my face as well. It was easy to apply and the shaves I experienced were smooth and clean. 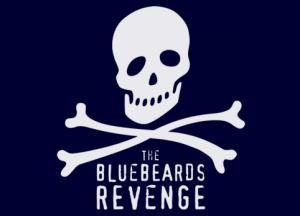 The big claim by Bluebeard’s Revenge is after a month of steady use your beard will slow it’s growth because of a novel topical compound called Decelerine in the shaving cream. I’m not here to tell you whether or not that claim is true but I feel the smooth shave alone is enough to support this product.